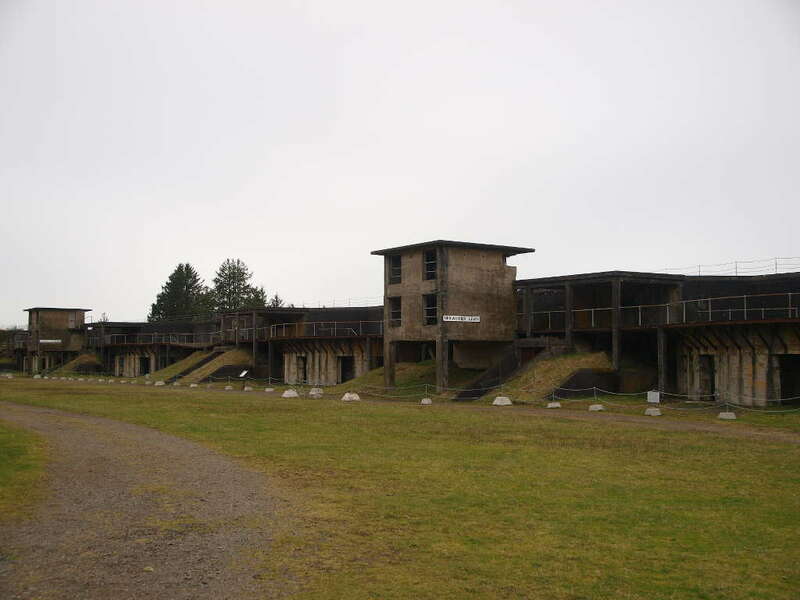 While Fort Stevens is among the more historic locations in Oregon, it’s actually relatively unknown to most of the United States. But one historically significant event happened there, and it was covered up for many years to keep up moral during World War II. Example of the mines used in the river, in front of the old barracks area. During the Civil War, Congress approved money to protect distant waterways such as the Columbia River from Confederate Raiders. A star shaped earthen wall fort was built at Point Adams in 1863-1864. It was simply called “Fort at Point Adams,” until 1865. 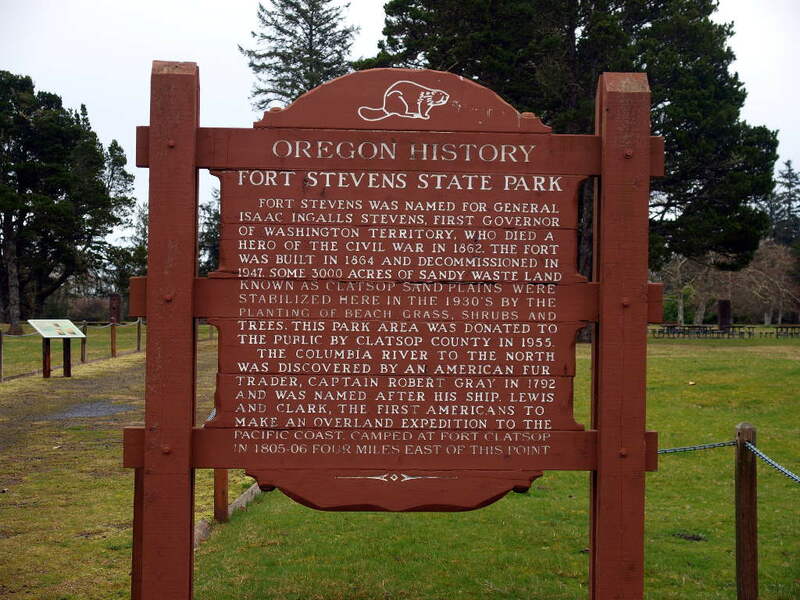 Fort Stevens was named in honor of former Washington Territory Governor, and Civil War Hero, Major General Isaac Stevens. 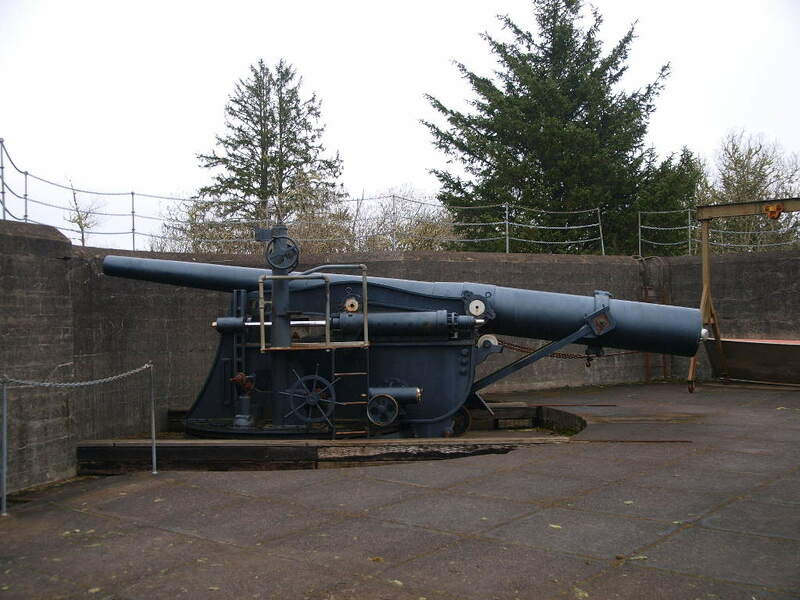 Fort Canby, on the Washington side of the Columbia River was built at the same time. 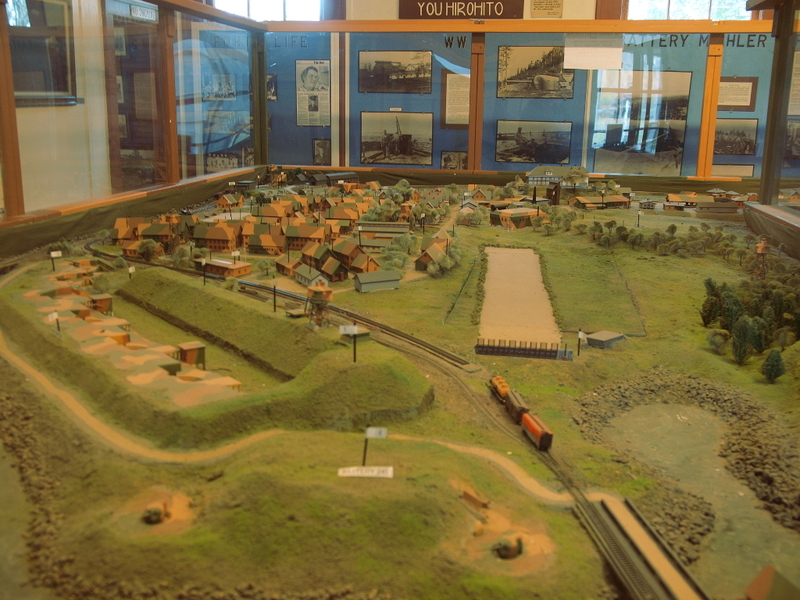 When Fort Columbia was finished in 1904, the three forts became known as the Three Fort Harbor Defense System. Fort Stevens continued to be the primary fortification in this system while the other two forts protected the areas Fort Stevens could not. The Fort was upgraded several times, the first upgrade was the total replacement of the original earthworks fort. It was replaced with a large concrete structure. 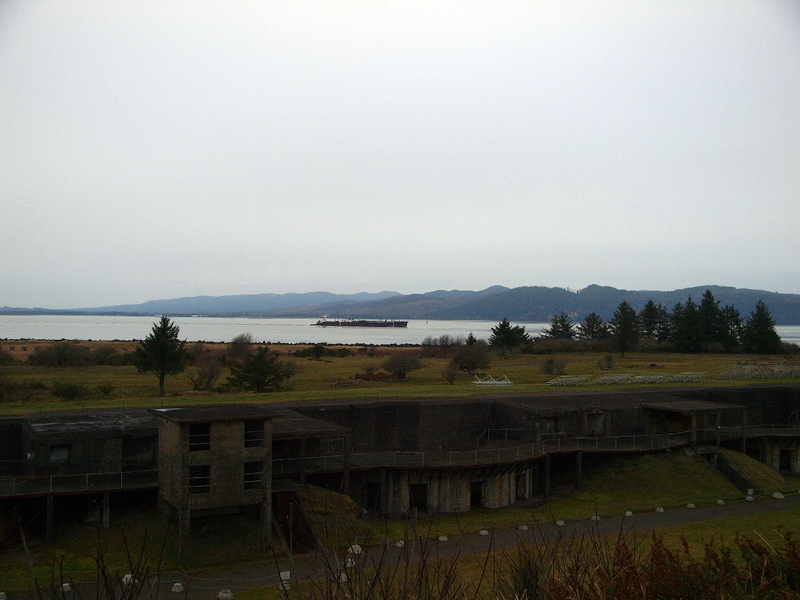 During World War II, the fort had grown to include four batteries of guns, a substantial support structure for 2500 men, and a large naval presence that mined the Columbia River. The most important event to happen here was the shelling of the Fort on June 21st and June 22, 1942. Japanese Submarine I-25 shelled the fort in an attempt to provoke a reaction from the defenders and to gauge the strength here. 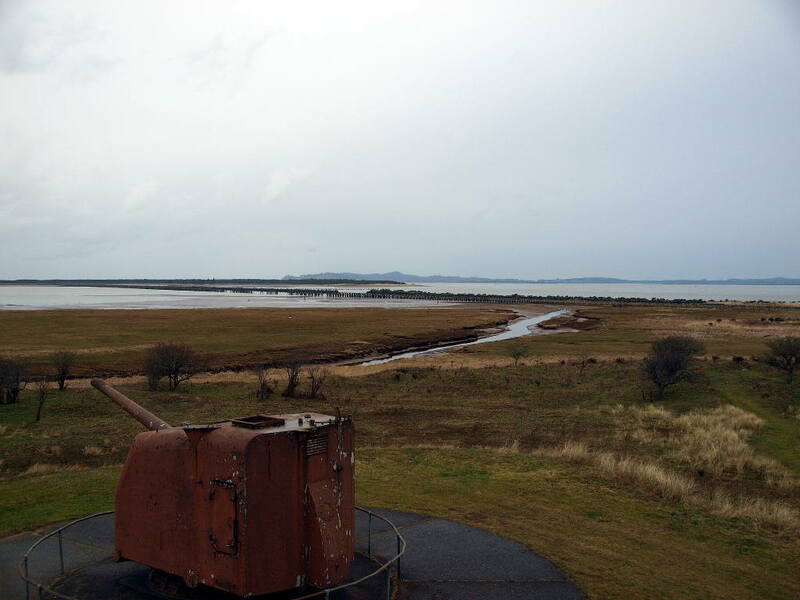 No attempt to return fire was made due to the fact that the forts guns could not reach the submarine’s position. The Fort was decommissioned in 1947 after the war ended. It was given over to the Army Corps of Engineers who used it as a base for projects on the Columbia River. 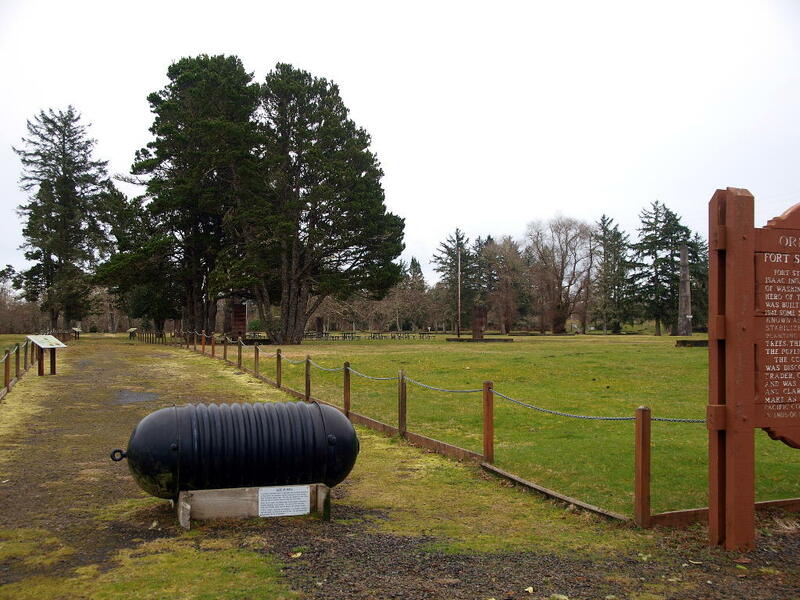 The fort is now owned by Oregon State Parks, who have done a great job preserving the fort, adding interpretive signs and making it one of the premier Oregon Coast camp grounds. The park is so popular with tourists and campers that it’s nearly impossible to get a spot from May to mid-September. Reservations can be made online, usually months ahead of time. Among the amenities now at the park is fishing at Coffenbury Lake, miles of bike trails, wildlife viewing areas (home to a herd of Elk and several unique bird species,) and the 1906 wreck of the Peter Iredale. Nice post! I’ve been to Fort Stevens, but don’t recall any of that history — perhaps the signs were added after we visited. At any rate, I’d love to go back. It is such a beautiful spot. My family visited Fort Stevens over a Memorial Day and went to a demonstration of their different caliber cannons…very impressive! Do they have a calendar of events somewhere? Thanks for the post. They do, but it’s in an unexpected place. The Friends of Old Fort Stevens runs those events. Love this place, my family and I went every summer.